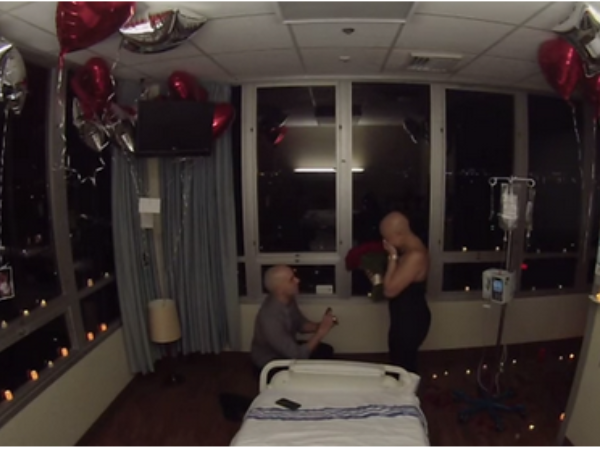 This has to be one of the most beautiful proposals ever. A YouTube user using the name Lucas D’Onofrio uploaded a video sharing the moment he proposed to his high school sweetheart. Lucas’s long-time girlfriend had just finished her chemotherapy session after being diagnosed with Non-Hodgkin’s Lymphoma in February. After six difficult sessions, Lucas decided to celebrate the end of that chapter by popping the big question. Although the entire video is beautiful, it is a bit long- you can fast forward to the two-minute mark to watch the actual proposal.